At last, the long-lasting wait came to an end and the worth praising LUX style awards 2k16 , 15th ceremony presented by LUX came into existence on 29th July 2k16. Many famous personalities and actors/actresses were found on that eve representing elegance and style with glamour. The night was enriched laughter’s, epic moments and wonderful commentary. There were some sad moments too that brought tears to many eyes while paying tribute to a great legend Amjad Sabri. Let’s have a look to the prestigious instants of LUX style awards 2k16. 1) Mahira khan giving her best pose at a red carpet. She won the award for “best actress”.After all, she deserves it. 2) Best supporting actress of “jawani phr nai ani” award was received by Aisha khan. 3) To pay tribute to legend Amjad Sabri, prominent celebrities of film and drama industry took place on stage. 4) Lovely couple of Urwa Hocain and Farhan Saeed was spotted on red carpet 2k16. 5) Nilofer shahid received “lifetime achievement award” and she dedicated it to Pakistan and great legend Edhi Sahib. 6) Three living legends of film and drama industry spotted at single place. 7) Iconic Fawad Khan making his pose for a photo-shoot. 8) Mathira and Ex-chairman of Pakistan film censor board Fakhr e Alam sitting together. 9) Charming actress “Sajal Ali’ posing in style for photographer. 10) Sohai Ali abro giving her amazing dance performance. 11) No event is complete without appetizing food, so here’s the food served that night to guests. 12) Ali Zafar during his marvelous performance. 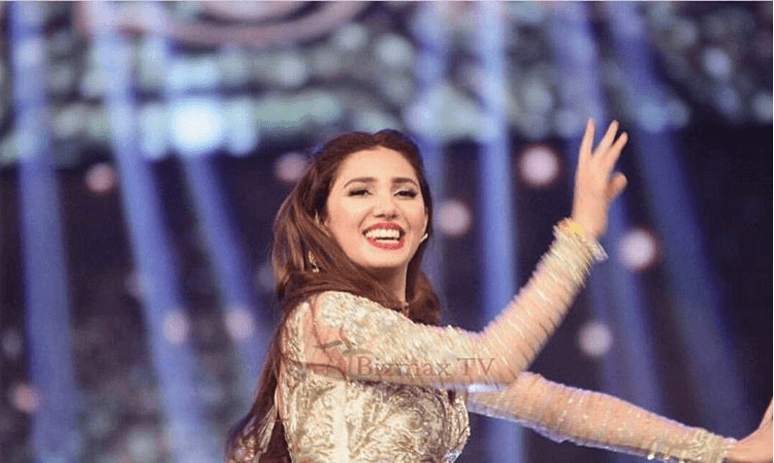 13) Gorgeous Mahira Khan while performing on stage. 14) Hamza Ali Abbasi received a best dressed award for male and obviously, he’s looking very handsome and gorgeous in the black outfit. 15) An admirable couple of Ali Zafar and his wife were spotted in elegance .